Gather round for your first look at a new film starring Casey Affleck and Michelle Williams. Out of Cannes, THR has posted the first three photos from Manchester-by-the Sea, the latest feature written & directed by Kenneth Lonergan about a man who returns to his small Massachusetts hometown to deal with both his estranged wife and the consequences of his brother's death. Casey Affleck plays the lead, while Michelle Williams plays his estranged wife, and the cast includes Kyle Chandler (seen in one of the photos). This is a very early tease as they're still shooting and looking to drum up sales buzz. We'll keep an eye out for it. 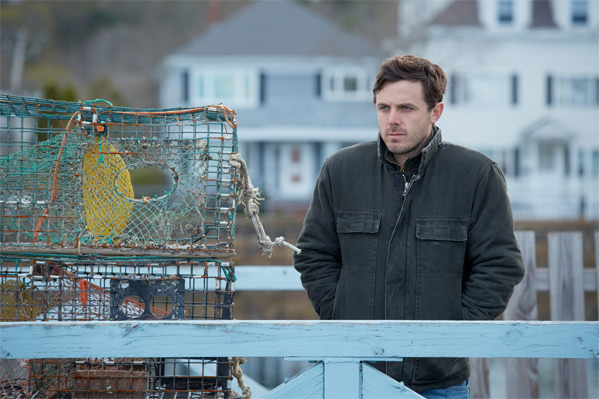 Manchester-by-the-Sea, which is currently filming in Massachusetts, is both written & directed by Oscar-nominated filmmaker Kenneth Lonergan (of the films You Can Count on Me and Margaret previously). 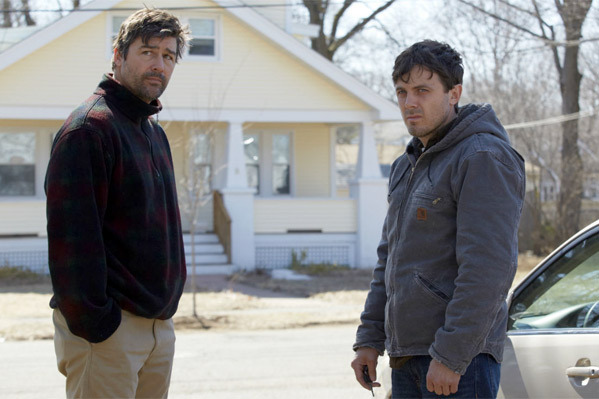 Casey Affleck plays a "lazy and irresponsible Boston plumber forced to return home to the titular town after he learns his brother passed away. Suddenly he finds himself having to take care of his brother's 16-year old son but also finds himself crumbling due to a secret tragedy in his past." The full cast includes Michelle Williams, Kyle Chandler, Kara Hayward, Gretchen Mol and Tate Donovan. We're not sure when this will be released yet, as they're still filming and looking for distributors at the Cannes Market. Stay tuned for more. Ah man! That premise sounds so dramatic. Can't wait!